Hey, Jimmy, call me. I love … tall … men. 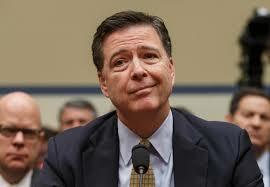 Former FBI Director James Comey did not answer that question. He whipped out a folding knife and slashed the convertible top of the Big Red Car, cut the seats, and stabbed the tires. So, there you have it, the Comey book right from the mouth of its author, Jimbo Comey. This entry was posted in President Trump and tagged comey, Trump. Bookmark the permalink. James Comey dishes his new book with the Big Red Car. Explosive, no-holds-barred, the real James Comey unleashed.